SUBAL ND4S Underwater Housing for Nikon D4 and D4S DSLR Camera - Type 3With the SUBAL ND4 for the Nikon D4, SUBAL offers an aluminum housing for the latest development of full-frame-SLR cameras from Nikon with no reduction in the angle of coverage! There is no limit in creativity for the underwater photographer! The SUBAL ND4 allows access to all functions of the Nikon D4 including Live view and Info. With the SUBAL ND4 for the Nikon D4, SUBAL offers an aluminum housing for the latest development of full-frame-SLR cameras from Nikon with no reduction in the angle of coverage! There is no limit in creativity for the underwater photographer! The SUBAL ND4 allows access to all functions of the Nikon D4 including Live view and Info. Subal, the world-renowned professional underwater housing manufacturer based in Austria, is proud to present the SUBAL ND4 Angler housing. The new Angler design is the next generation flagship housing from SUBAL. Offers a higher level of design and expands the possibilities for professional photographers who always require the best possible performance and reliability in most the challenging environments. With its revolutionary design, ergonomic handling, and renowned quality, SUBAL sets new standards in the underwater imaging industry. Designed for the worlds most demanding photographers and multimedia professionals especially those in the fields of underwater sports and nature photography as well as advanced amateur photographers, the SUBAL ND4S upgrade improves on the design and ergonomics over the earlier ND4 version. It will house both the Nikon D4S and its predecessor, the Nikon D4. The powerhouse Nikon D4S is an evolution from the earlier D4 camera providing important upgrades in performance. It is capable of an extraordinary 11 frames per second still shooting and has the fastest autofocus Nikon has ever offered. The D4S excels at shooting in low light as well with an expanded ISO of 409600. The video features now include the 1080/60p video for up to 10 mins at 42Mbps or 20 mins at 24Mbps and uncompressed HDMI (while still recording to the internal camera memory, something the D4 could not do). With over 40 years tradition in housing manufacturing, high-quality craftsmanship, ergonomic and comfortable controls are embedded in this new housing. The handling and feel of a SUBAL are unmistakable and the unmatched reliability is unbeatable. SUBAL incorporates decades of experience and technology, pushing the boundaries further in the underwater housing industry. Innovation and design have crystallized in SUBAL creating the most ergonomic housing on the market for the Nikon D4 and D4S full-frame camera. The ease of operation and superior construction features and reliability of SUBAL underwater housing is part of our tradition and engineering DNA. We provide innovative solutions that achieve maximum user-friendliness and comfort whilst allowing easy servicing. All functions of the camera can be operated including Power On-Off / Display Illumination, Shutter Release, Zoom (manual focus), Front and Rear Main Dial controls, Lens Release, Focus Mode Selector (M-S-C), Metering mode control, Movie Record Button, Mode Selector, AF- Lock, AFON, Port Lock. Push Buttons for Mode, Exposure Compensation, Bracketing, Flash Sync Mode, Lock, Metering mode control, Rec. Start/Stop, Playback, Delete, Menu, Thumbnail, Protect, OK, ISO, Quality, White Balance, Microphone, Multi Selector, Info, Live View, AF-Mode. Playback, delete menu, ISO, quality, fashion, release, BKT, Flash mode, measuring method, exposure compensation, OK, multi, function keys, info and AF mode. Designed with superb handling in mind, Subal engineers played a key role in the ergonomics and perfect arrangement of all controls and functions which allow the photographer easy operation and access to all photo and video functions while holding the camera. The SUBAL ND4S housing is produced from a solid block of high-grade seawater-resistant aluminum. The housing is anodized and put through a chemical hardening process. 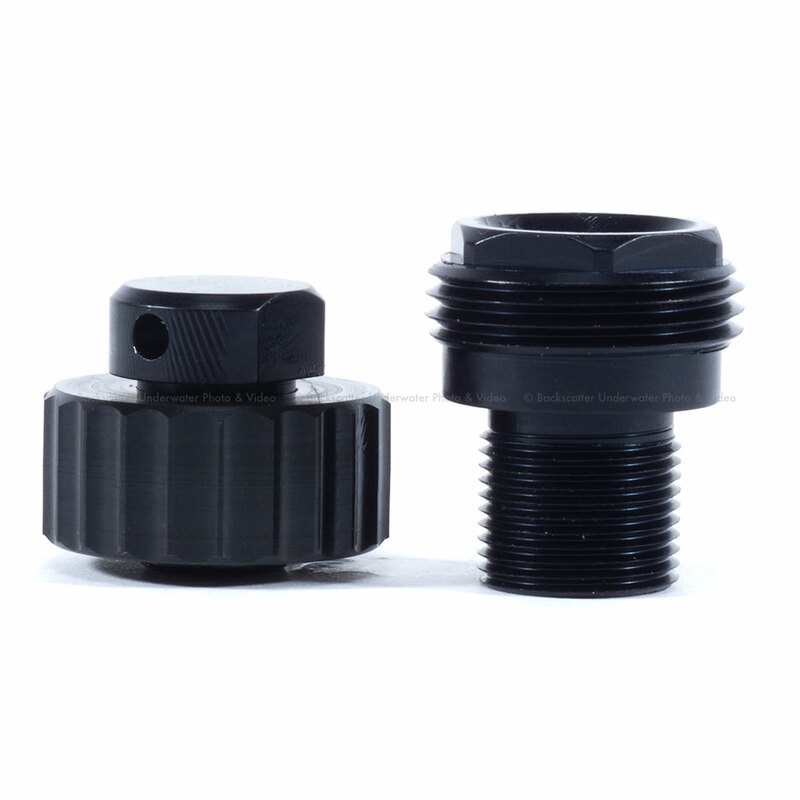 Subal is the only underwater housing manufacturer to use this patented, hard-coat anodizing. A 3-layer powder-coating is added, giving the SUBAL housing an elegant finish and further protecting it from the environment. The advanced manufacturing process and high- grade materials ensure that your investment will last a lifetime. The housing, like every other Subal housing, is equipped with the SUBAL Quick Lock closure system for maximum safety. Two fiber optic connectors and two bulkhead with optional N5, Ikelite and S6 connectors. Extensive line of SUBAL high quality dome and flat ports. Gears for all major underwater lenses. Easy fitting of viewfinders: the GS180o, WS 45o and Prism Viewfinder 30_. 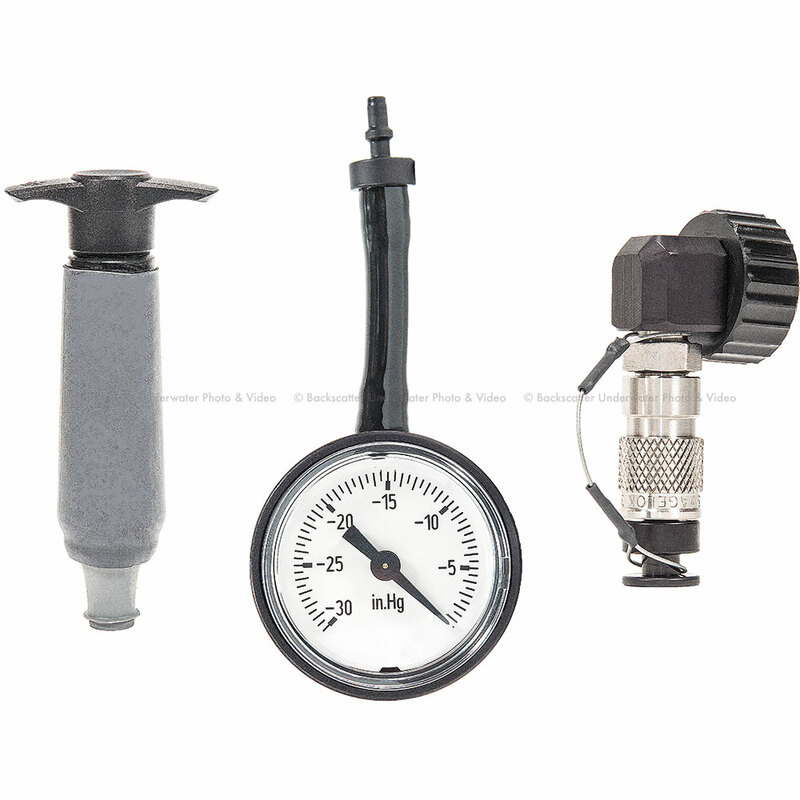 Full line of mounting accessories are available: arms systems, strobes, adapter, mount balls. SUBAL ND4S/ND4 integrates years of accumulated experience with significant engineering breakthroughs. The SUBAL Quick Lock System, a precise and robust locking system that has proven the most reliable in the market and which eliminates accidental opening. The new Port Lock system secures Dome ports (DPs) and Extension Rings (EXRs) to the bayonet housing and provides the means to secure all components with ease. The lens Release Latch allows for easy lens exchange without removing the camera from the housing. A visual and audible warning Leak Alarm comes as standard on every SUBAL housing. The SUBAL Special Saddle System for quick and precise positioning of the camera body inside the housing makes bad positioning impossible! SUBAL beside the standard viewfinder has developed additional viewfinders to support the photographer's needs. 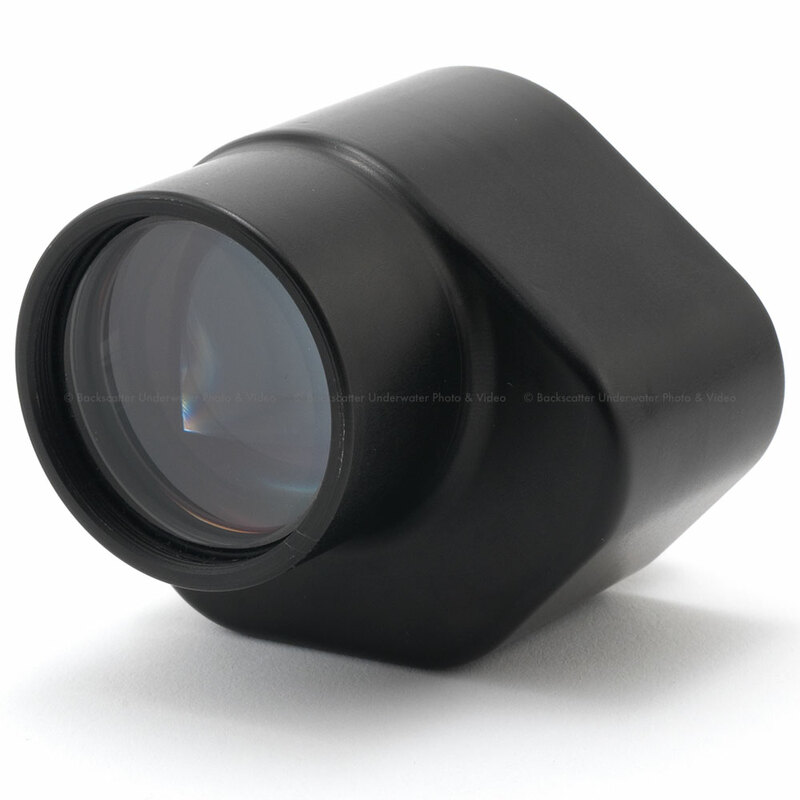 All SUBAL viewfinders are manufactured with high-quality optical glass and multicoated. The easily interchangeable systems give the photographer the possibility to mount any of the offered viewfinders on the ND4/ND4S housing as needed. The straight GS180o enlarges by 2.5 times the image from the camera's viewfinder. The WS 45° magnifying viewfinder offers a comfortable look into the camera viewfinder. With a magnification factor of 150% the 360° rotatable system with dented marks every 90°, is perfect for macro shooting and the half and half shots. A 30° prism viewfinder latest SUBAL development, is specially designed for macro video recording and the half and half shots. 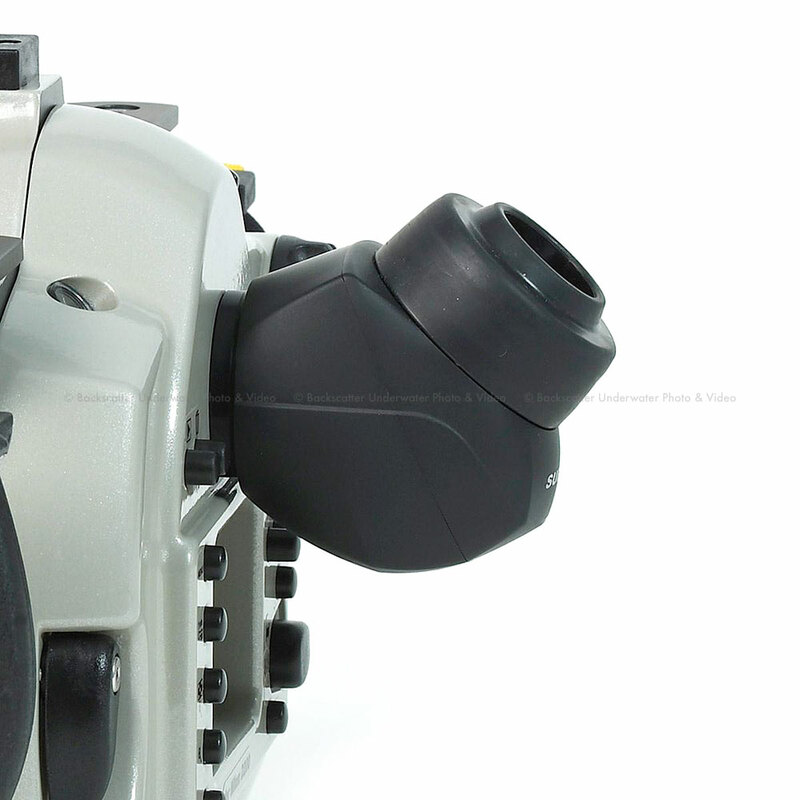 SUBAL provides two fiber optic ports to operate strobes such as the Inon Z-240, Sea & Sea YS-D1 and YS-01. This system provides full, accurate TTL flash mode. Optional bulkheads are available on request for NikonosV, Ikelite, and S6 as well as a video connector for an external monitor.